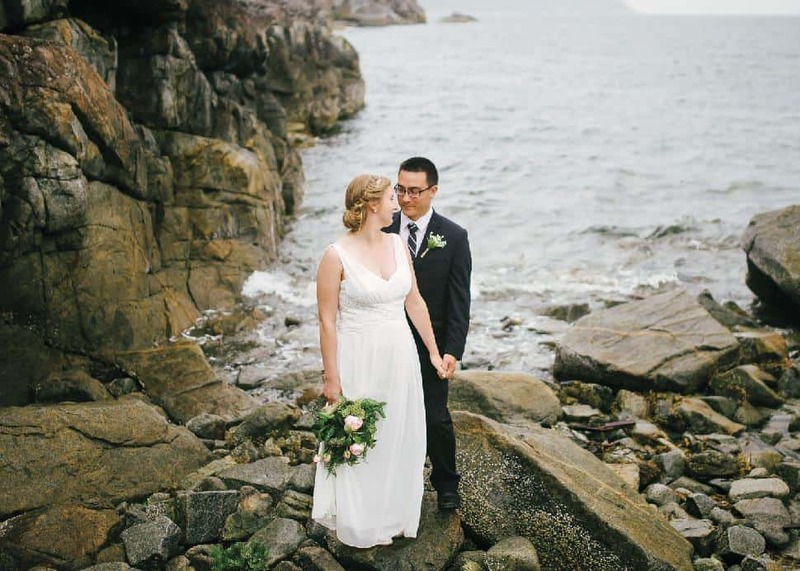 4 Far-Flung Places to Elope in B.C. The wilderness beckons. 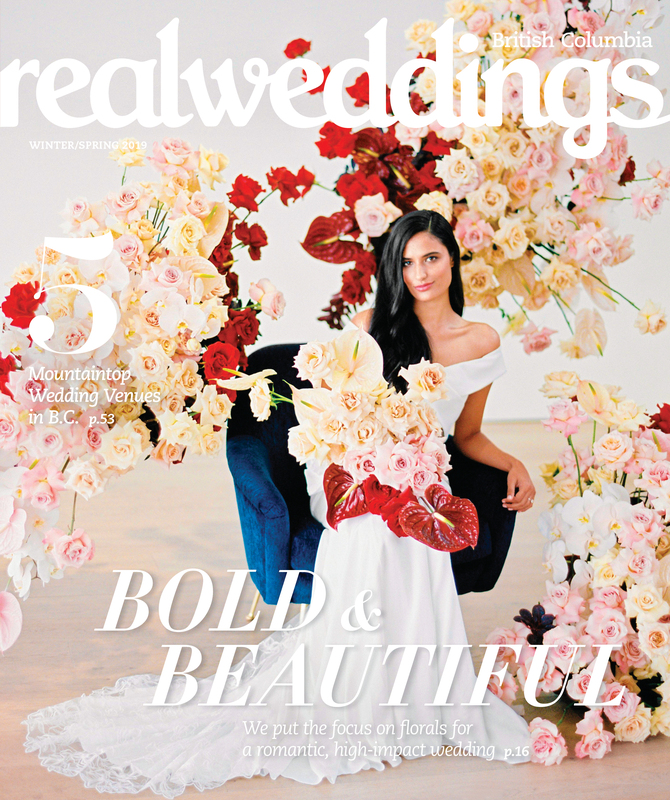 If you fell in love with wind in your hair, sweat on your brow or dirt in your boots, running off to elope can be your first wedded adventure of many to come. Find a place where city lights and banquet halls are traded for starlight and tree canopies to celebrate your union. Here are four places to elope as you jump into the next phase of your lives, hand in hand. 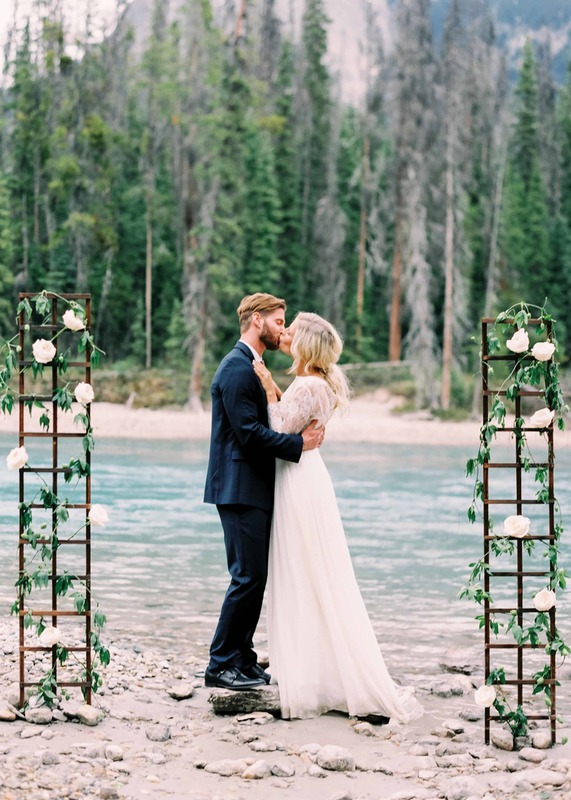 Justine Milton Photography Justine Milton PhotographyNot only does an elopement on a green hillside with snow-topped Rockies as your backdrop make for dramatic photos, the fresh mountain-air kiss that seals your love will be unforgettable. 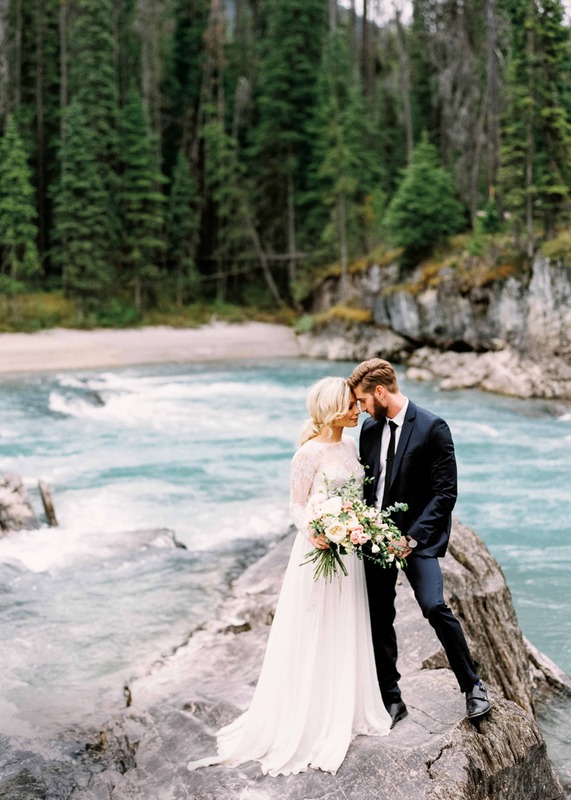 Nearby Banff is the town of Field, where you can choose a trail and let it guide you to your first newlywed memories. There’s no need to consider flowers if you arrive in June or July; the microclimate around glacier-fed Emerald Lake nourishes vibrant natural floral displays of wild orchids. Mountaintops, roaring waterfalls and an ancient fossil bed are all nearby the private cabins of Emerald Lake Lodge, where you can indulge in their hearty cuisine and extensive wine list, and relax by the glimmering limestone-green lake. Funky Town PhotographyAbove beautifully carved and painted poles on northern Haida Gwaii, look skyward for the black wingspan of the raven. In Haida culture, the raven is central to stories of creation, spirituality, and light and dark; it’s your ever-present guide as you are a guest on their islands. Far north is the Haida community of Masset, where you can explore contemporary totem poles and take a day trip through the vivid green canopy on the playfully muddy Cape Fife Trail. To elope outdoors here is to truly embrace the spirit of the wild—the weather can change quickly, but the rain and wind embody the unpredictability of life to those who are ready to embrace it. Time moves a little more slowly when waves lap the shoreline in a quiet rhythm that lifts you from bed each morning and drifts you to sleep at night. On the Sunshine Coast, you can visit the artsy community of Gibsons to pick up some picnic supplies at a farmers’ market on your way to Smuggler Cove. 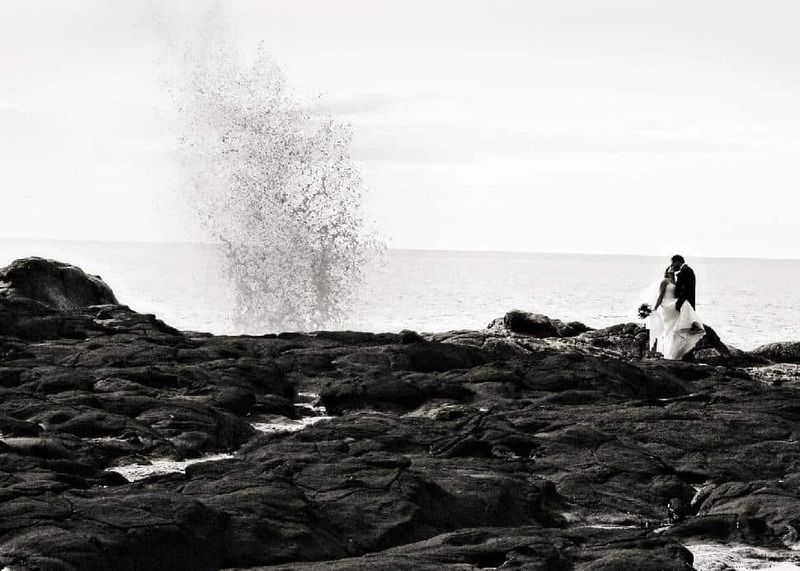 There, you can find your own private rocky outcrop to exchange vows. Take the peaceful moment following your union to explore the rocky shores, take a dip into the water and watch the boats go by. Stay the night at Sunset Cove Cottages for an ocean view on a wraparound balcony where you can watch the sun set. 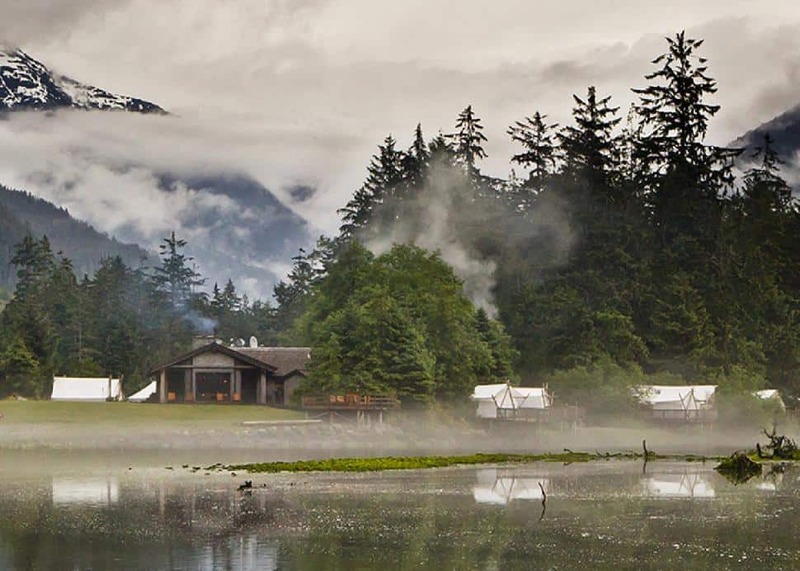 Imagine yourselves as wilderness royalty, the ultimate glamazons surrounded by rich finery, with Clayoquot Wilderness Resort as your kingdom. 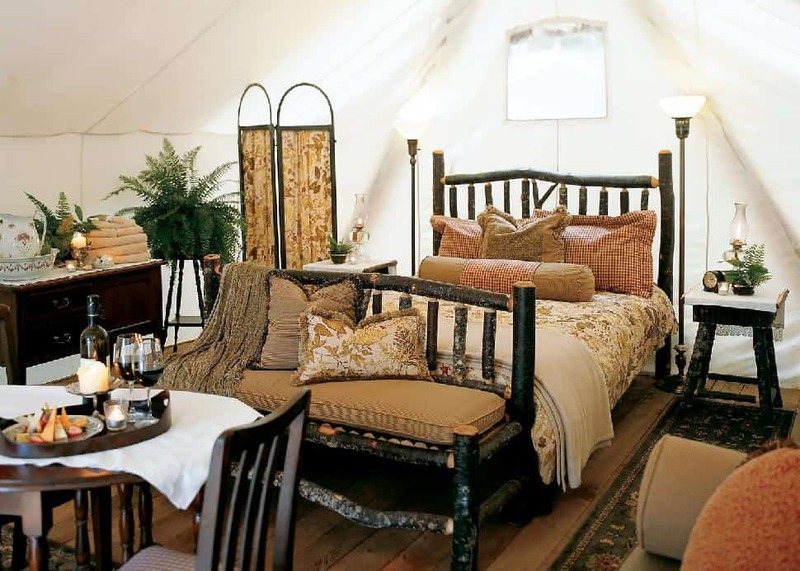 The rows of luxuriously furnished white tents are accessible only by boat or float plane, but the resort would have you carried in on a flowing ribbon in the beaks of majestic seabirds if they could, because it truly is a Cascadian fairy-tale getaway. Despite heated floors, plush king beds and antique oil lamps, the resort’s real ambiance comes from the environment, which you can enjoy from your private balcony or the outdoor hot tub. 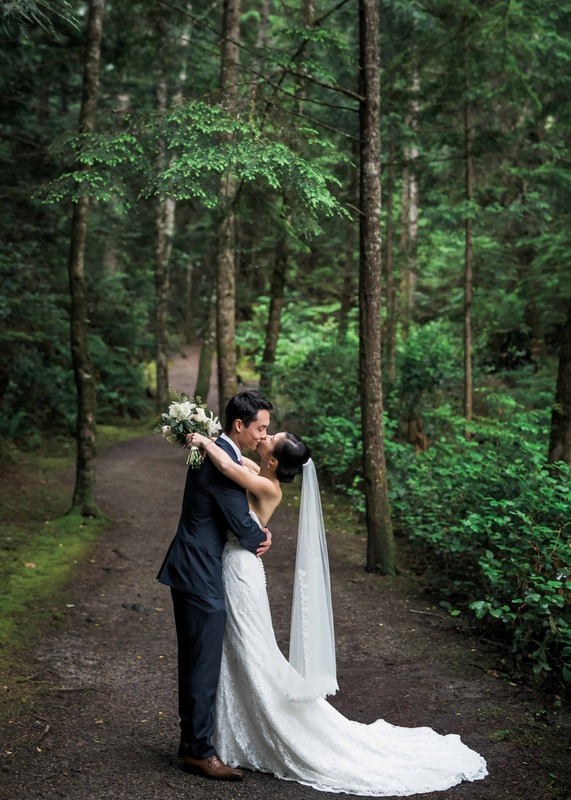 Gaze into your partner’s eyes surrounded by towering red cedar, Sitka spruce and Douglas fir, and say “I do” to the witness of elk, eagles, bears and whales. Then have a helicopter fly you 4,500 feet above sea level to Ursus Mountain where you can swim in an alpine lake and watch the shadows lengthen at the end of the day. 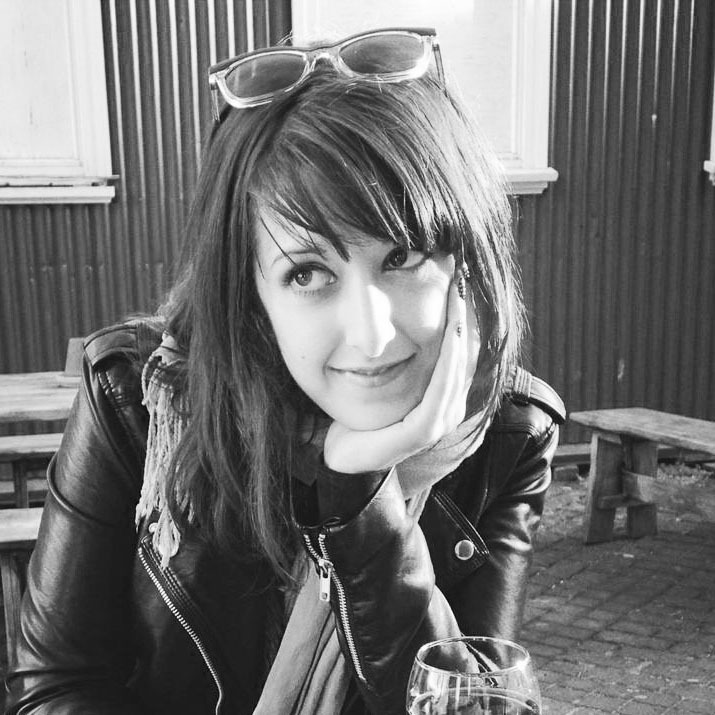 TIP: Even if you’re thinking of eloping, be sure to bring a photographer along to capture the beauty of your union and the backdrop.